In earlier, the most important and critical component used in an electronic device is a vacuum tube, used to control the flow of an electrical current. Vacuum tubes are bulky and need high power consumption, yield lower efficiency, higher operating voltages and also used electron materials which emit electrons for operation. So, that ended up as heat, which reduced the life of the tube itself. To overcome these complications, Walter Brattain, William Shockley and John Bardeen were developed a transistor at “Bell Labs” in the year of 1947. The transistor was a much smarter solution to overcome several of the essential limitations of vacuum tubes. This article gives an overview of transistor construction, types, applications,etc. A transistor is one kind of semiconductor device that can both conduct and insulates. A transistor can perform as a switch and also an amplifier. It alters audio waves into electronic waves & resistor, controlling the flow of current. These components have very long life, small size, can function on lower voltage materials for better safety and not required filament current. The first transistor was made-up with germanium. A transistor does the same function as a vacuum tube triode, but consuming semiconductor junctions instead of excited electrodes in a vacuum chamber. 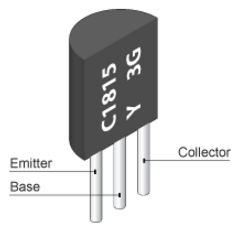 It is the major building block of current electronic devices and used universally in modern electronic systems.A transistor is a 3-terminal component. Namely, base, emitter, and collector. The base terminal is liable for triggering the transistor, emitter terminals are the negative lead and collector terminal is the positive lead. The simple idea behind a transistor is that it allows you to control the current flow through one channel by changing the strength of a much lesser current that’s flowing through on another channel. A transistor is a three-terminal semiconductor device, that includes a very thin essential layer of one kind of semiconductor material sandwiched between two comparatively thick layers of the second type.There are two types of transistors namely PNP transistor and NPN transistor. In PNP transistor, N-type semiconductor part is sandwiched between two sections of p-type semiconductor layers. In NPN transistor, P-type semiconductor part is sandwiched between two sections of n-type semiconductor layers. 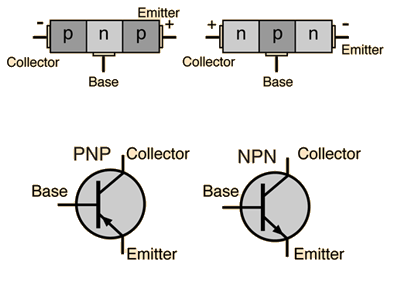 Consider any type of the transistor, for instance, a PNP-transistor. 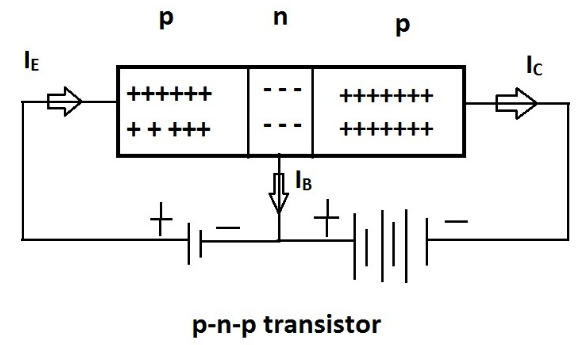 Let the two P ends of the transistor are connected to 2-batteries which are shown in the below diagram. The forward bias reasons the holes in the P-type emitter to run towards the base terminal which integral to Ie current. These holes annoyed into the N-type base terminal, they try to combine with electrons, but the base terminal is casually doped and is very thin. Therefore, there are two current tracks through a transistor. One is the BE (base-emitter) path or input and the other is the CE (collector-emitter) track or output. The following table shows the configurations of the common emitter(CE), common base (CB) and common collector (CC) transistors. As shown in the following Fig.2, the transistor biasing by using a feedback resistor. The base bias is used for the collector voltage. The feedback of the collector confirms that the transistor is constantly biased in the active region. When the collector current (CC) increases, the voltage at the collector terminal drops. This decreases the base drive which in turn decreases the collector current. This response configuration is perfect for the designs of the transistor amplifier. 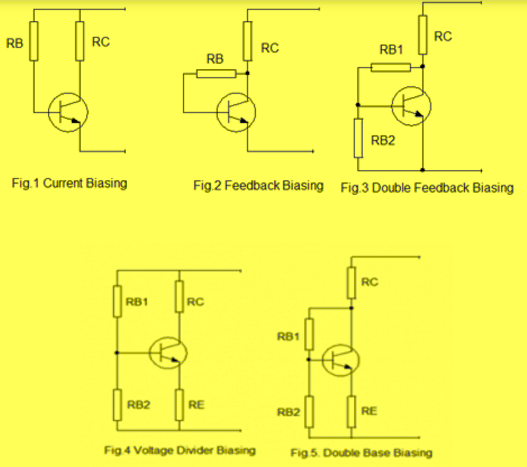 Fig.3 displays how the biasing is attained using double feedback resistors. By using two resistors like RB1 & RB2 rises the strength with respect to the differences in Beta by increasing the flow of current through the base bias resistors. In this arrangement, the current in RB1 resistor is identical to 10 % of the collector current. Fig.4 displays the biasing of a voltage divider in which two resistors like RB1 & RB2 are associated to the base terminal of the transistor to form a voltage divider network. The transistor becomes biases by the voltage drop across the resistor RB2. This type of biasing arrangement is utilized widely in amplifier circuits. A transistor is used as an amplifier to amplify the current and a small change in base current makes a large change in CC (collector current). For example, microphone. An IC (Integrated Circuit) comprises of resistors, transistors, capacitors, diodes that are inbuilt in one wafer-thin chip of Si (silicon). This chip is called as a microchip and the thickness of this chip is a few millimeters like 0.5mm. 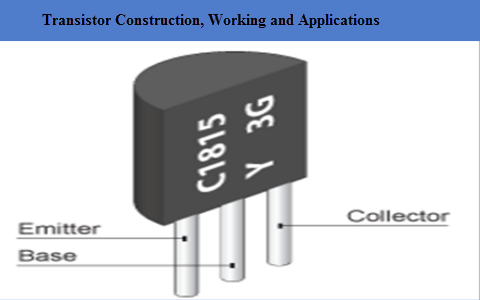 This is all about transistor working, transistor construction and applications. We hope that you have got a better understanding of this concept. Furthermore, any queries regarding this concept or to implement any electrical and electronics projects, please give your valuable suggestions by commenting in the comment section below.here is a question for you, What is the function of the transistor?